Goodluck Removals are a Glasgow based house and office removals company specializing in all aspects of moving for private and business customers. We use our own fleet of new fully equipped removal vehicles covering all postcodes within the Glasgow . We offer comprehensive moving related services as well as tools designed to reduce the time, cost and stress associated with moving. Compare free moving quotes with qualified movers in your area. We specialize in house removals, office removals, student removals, furniture removals and storage, small removals, man with van hire service . 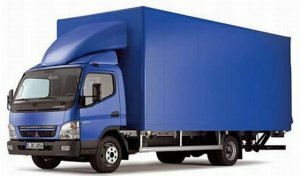 Not moving far or just need a truck to haul items in the city ? Save up to 30% now ! Our goal is to provide high quality house removals services to residential and business customers within the Glasgow area at affordable prices. Getting moving help can be a stress-free and affordable experience with great discount rates on full-service moving vans through Goodluck Removals . Book your appointment and save now ! Don't move without Goodluck !